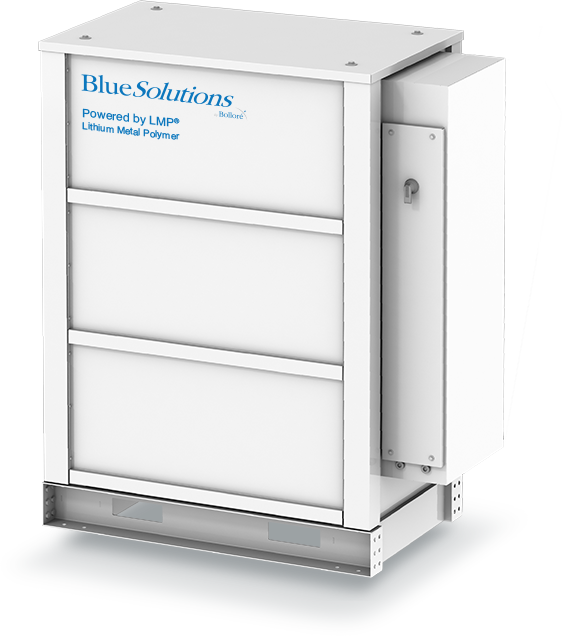 The Bluestorage energy storage range is based on a rack, the basic feature of a dense and modular architecture. With a storage capacity of between 252 kWh (LMP-250) and 392 kWh (LMP-400), it features an optimised design for simplified installation and maintenance. The rack comprises an air-tight outer metal enclosure that integrates the battery modules and electronic safety components without any need for cooling systems. 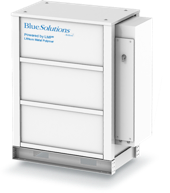 Between two and eight racks can be assembled into a cluster, offering a modular storage solution with a capacity of up to 3.1 MWh. A solid-state technology with no risk of thermal runaway for a battery with constant capacity throughout its lifespan, free from rare earth metals and cobalt.